Back in 2010 a little album called The Infinite Regress graced my ears and changed my thoughts on post-metal as a whole. It was not the "chugg into infinity" record I'd become so accustomed to. Instead, the album was a very deep experience, full of fresh ideas and beautiful sounds that meshed into an incredibly absorbing album. Needless to say, I was an immediate fan. Here we are almost two years later, and Radare has slipped another record right from underneath me. Hyrule is the band's sophomore release, and a peculiar one at that. The album is comprised of two mere songs, each with a respectable length of about 12 minutes. What worked in The Infinite Regress works here as well, which of course is a wonderful thing. 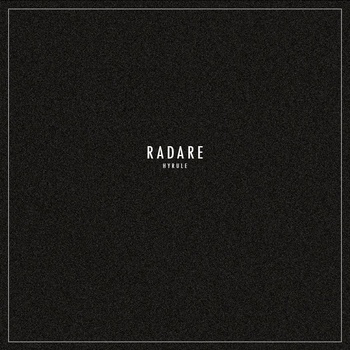 The atmospheres present are truly something to behold, as Radare knows how to give its songs that special something. Yet this time around, things are a bit more mellow. Metal--a sound embraced earlier in the band's career--is scarcely found save for a few moments. This is an album much more into "straight-up" post-rock territory, and despite any reservations one may have with this, it actually fits the band well. The two songs compliment each other exceedingly well. Both are extended tracks that feature some of the band's most experimental music to date. They are slow moving, deliberate and weird pieces that head unblinkingly forward into some fantastic climaxes. This time around, there is a decent bit of drone influence, which makes the crawl towards the ending very different, but also very interesting. This may all sound trite, but Radare makes some great stylistic decisions that makes each song very unique and intriguing. Hyrule isn't the game changer one may hope, especially after Radare's fantastic debut, but it is still a wonderfull record none the less.